Goals this month are to read some adult fiction! Long awaited grown up books that I would STILL have have patience to be published in the UK. 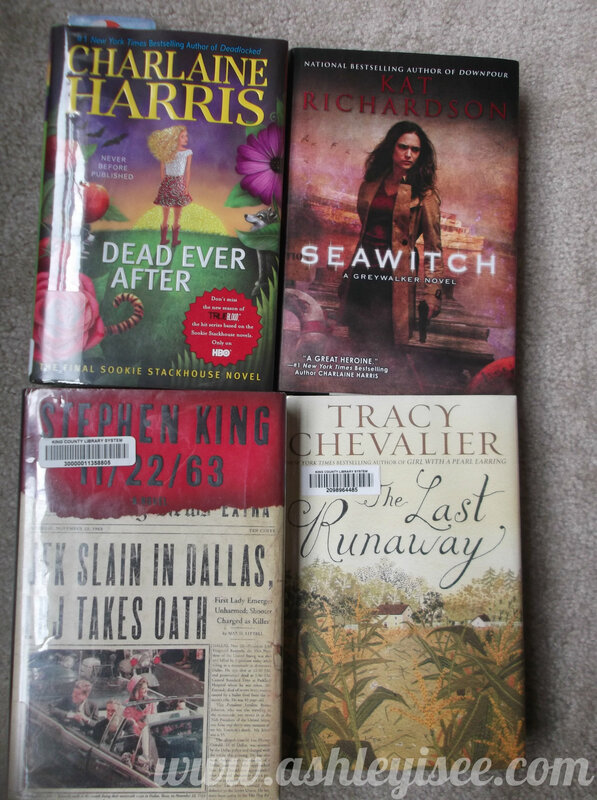 My reviews for the following will be on my Goodreads account. I wish I could read faster, every time I go to the library all I want to do is check out more books. Sigh, how the time will come! What is one book that you’re reading this month? I started 11/22/63 on my Kindle, but after reading about 50 pages, I didn’t even show I was 1/20th of the way done. Maybe a computer glitch, but I got a feeling I’ll have to block off three weeks to finish this one.